Stormont Vail Health has exciting opportunities for advanced practice providers. We offer a supportive and collaborative work environment that’s dedicated to helping you build on your professional goals. We are a community that enjoys a quality of life rarely surpassed, with affordable living, a plethora of cultural opportunities, outdoor adventures and historical sites. There are vibrant towns, quality schools, fun festivals and celebrations held all through the year providing entertainment and leisure for the entire family. While your employment with Stormont Vail will bring you into our system’s own tightly knit and friendly community and culture, you’ll also enjoy personal interaction and close contact with the populations that we serve. You’ll find that your neighbors and peers are some of the friendliest, hardest-working people found anywhere. In fact, our community spirit is evident in the high level of volunteerism and community engagement. 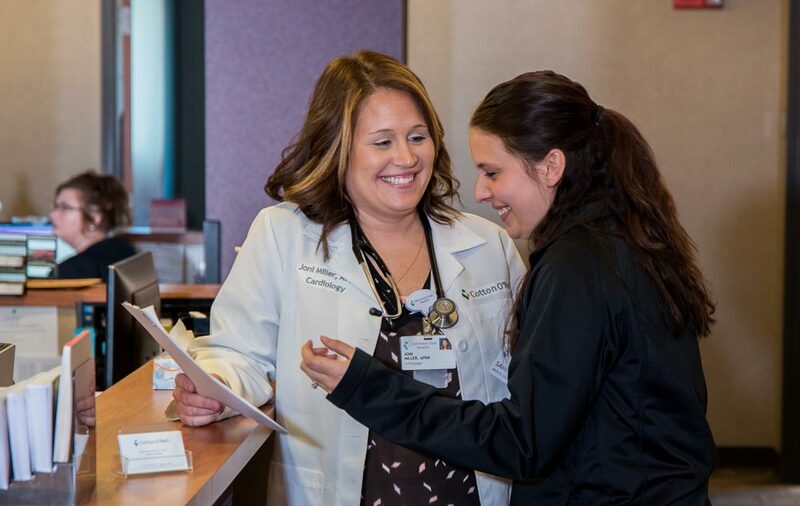 Professional opportunities will bring you into our system’s tightly knit community and congenial culture, and you’ll also build new connection with your colleagues and our patients. You’ll find that your neighbors and peers are some of the friendliest, hardest-working people anywhere. Our community spirit is evident in the high level of volunteerism and community engagement.